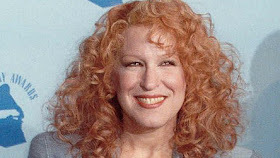 DAILYKENN.com -- Bette Midler appears to have come unglued. After two years and countless millions of tax dollars, the 73-year-old entertainer said Donald Trump has gotten away with crimes. She was referring to the conclusion of Robert Mueller's special investigation into allegations that Trump's presidential campaign colluded with Russians. As if to tacitly underscore the delusional mindset of the left, Milder began her Twitter post by claiming that Trump "has forced us to live through war as a nation for the last two years; he has caused depression, despair, confusion and death. We're not just sick at heart, but literally sick from him." After reading Milder post, I was aghast that she omitted the seemingly mandatory word, "toxic." "Leftists Hollywood elites have forced us to live through war as a nation for the last two years; they have caused depression, despair, confusion and death. We're not just sick at heart, but literally sick from them; from uncontrollable rage at the thought that they may take American back(ward) in 2024." In 2018 Midler caused a stir by comparing women to the 'N-word.' Her post on Twitter read, ‘Women are the N-word of the world. ‘Raped, beaten, enslaved, married off, worked like dumb animals; denied education and inheritance; enduring the pain and danger of childbirth and life IN SILENCE for THOUSANDS of years. It was revealed that Midler has a net worth of about $230-million, according to celebritynetworth.com.